JUNIATA TOWNSHIP, Pa. -- A Pennsylvania trooper was fatally shot while responding to a report at a home in the central part of the state and the suspected gunman has died, police say. The Pennsylvania State Police said in a release that Trooper Landon Weaver, 23, was shot about 6:30 p.m. Friday while responding to a report of a protection-from-abuse violation at the Huntingdon County home. An overnight manhunt for the suspect ended Saturday morning when police found 32-year-old Jason Robison at an unoccupied mobile home in the area, authorities said. Cpl. Adam Reed, a state police spokesman, said Robison refused orders and threatened officers on the scene, leading police to shoot him. His death was confirmed at about 10:30 a.m. Earlier on Saturday, state police had said on social media that Robison had died. Robison had been arrested more than a dozen times in the county, on charges that included making threats, assault, theft and driving on a revoked license. Robison last appeared in court on Dec. 16, when he was released on theft and driving charges after posting $10,000 bail. Details of the complaint that Weaver was responding to when he was shot were not immediately available, and Reed did not immediately know who owned the home where Weaver was killed. 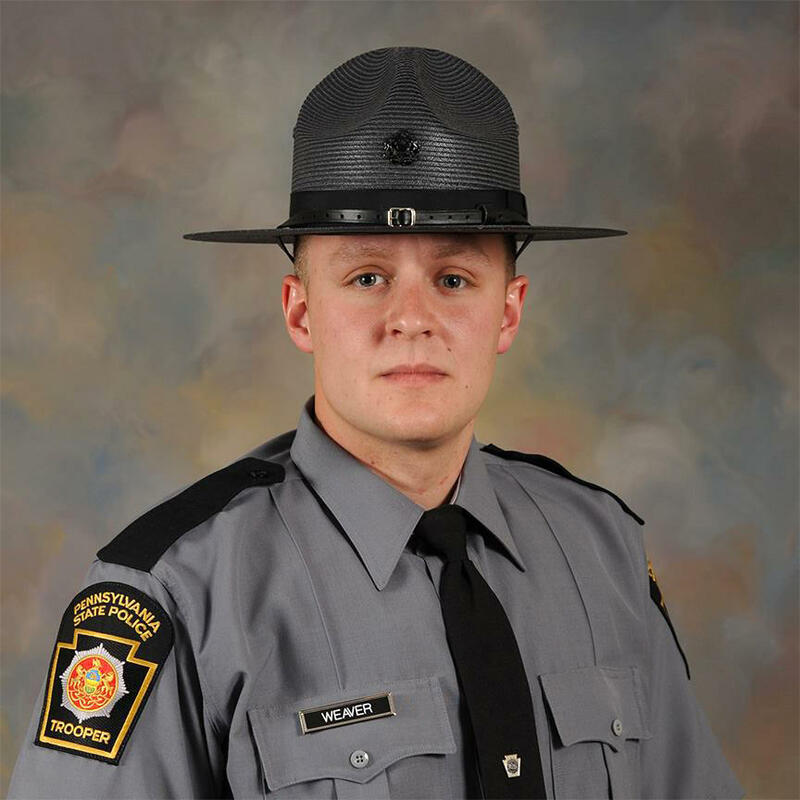 “Trooper Weaver’s life and service to our commonwealth ended far too soon – may we never forget his sacrifice,” Wolf said. Wolf also commended the Pennsylvania State Police and all law enforcement involved for swiftly ending the manhunt and preventing harm to other residents. “I thank the troopers and their counterparts who worked through the night and put their lives on the line,” he said.